Batboat box for the 1st issue model. This is a standard style box with end flaps. 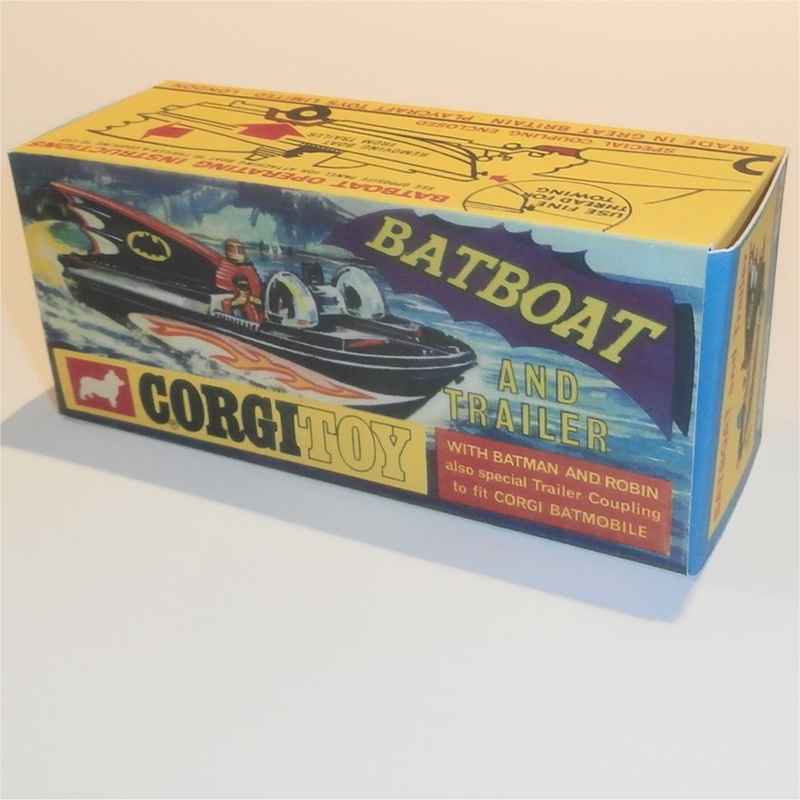 It came with the special adaptor hook that fitted on to the jet exhaust of the 1st edition Batmobile.